As we enter our 30th anniversary of serving the water treatment needs of New Hampshire’s homeowners and businesses, we’ve found ourselves doing a lot of reflecting on where we came from, where we’ve been, and where we’re going. Like most businesses that are just starting out, our founders ran every aspect of our company. Crispin Fletcher supervised sales, Jan Beauvais handled operations, and Christine Fletcher managed our finances. Although they specialized in certain areas of the business, their work frequently overlapped. “I remember one of my first days on the job when Christine, Crispin, and Jan were looking at our job schedule board and trying to figure out which day to schedule a water softener installation,” says Secondwind Manager of Commercial and Public Water Supply Steve Guercia. “I asked, ‘why does it take three owners to make this decision?’” Aah…the early days. President and Founder Christine Fletcher agrees this wasn’t the easiest way to get things done. “Everything was decided and done by committee so it took a long time to make decisions, which can create bottlenecks,” she notes. “It was also hard at times to resolve conflicts, a situation made more difficult by the fact that two of the three us were married,” Fletcher adds, smiling. At this time, a manager at Secondwind, like most small companies, had to be a skilled multitasker. “Everyone wore multiple hats. You had to be able to carry your weight in many areas,” she says. Fletcher explains that she did the books, invoicing and much of the ordering, but also disinfected wells and went on sales calls. Jan set up the database and did a lot of the product design, but also went on sales calls and helped with troubleshooting. Fletcher’s husband, Crispin did a lot of the mechanical work and served as Secondwind’s researcher-in-chief. He, too, went on sales calls. “Today, our team is much more specialized and we don’t have to wear quite as many hats. But that willingness and ability to roll up our sleeves and pitch in when needed still exists–it’s part of what I call Secondwind Grit,” Fletcher points out. Even as Secondwind worked on specialization and continued to grow, it was evident that we needed to expand our team and change how we were managing things. “We knew we were in this for the long haul and weren’t afraid to ask for help,” explains Fletcher. In 1994, the founders met with a mentor from SCORE-New Hampshire, which provides free mentoring and consulting to small businesses. “He helped us realize that we needed to move from an engineering-focused company to a customer service-focused company,” she says. “Later, we brought in a consultant to help us with this transition. He assisted us in developing and streamlining our customer database to better serve their needs,” she adds. 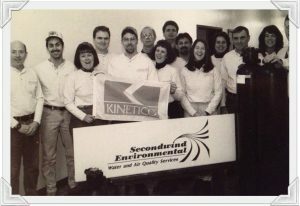 The Secondwind Water team in the mid-1990’s. In order to grow into a true customer-service oriented operation, it was obvious that Secondwind needed to expand its team. “This was actually the start of a major turning point for us. We hired a number of people from other water treatment companies. They brought with them a breadth of knowledge and experience. And we often found ourselves seeking their opinions,” Fletcher points out. This had a very positive effect on our overall management and decision making process. After ten years, founder Crispin Fletcher stepped away from the company to pursue other dreams. Christine Fletcher became president and she and Jan each had more clearly-defined responsibilities. “This allowed us to stop doing things as a ‘committee’ and provided an opportunity to reflect on and change our operating structure and style,” Fletcher says. As the company continued to expand its client base and hire more employees, Fletcher says it was obvious its management structure needed further development. “Over time, there was simply too much activity, too many employees, and too many decisions for two people to manage,” she explains. Fletcher and Beauvais changed their focus from managing employees, to providing leadership and support. This empowered employee managers, allowing them to specialize in different areas of the business, share their ideas, and develop their own leadership and decision making skills. Part of this increased specialization included expanding Secondwind’s employee training program. 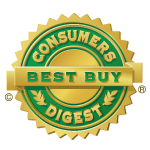 “We always trained our sales reps and service techs, but now we were training schedulers, customer service reps, sampling agents, and more,” notes Guercia. This more formalized training benefited Secondwind’s customers by providing a more consistent level of service. Although Secondwind was growing and developing stronger, more confident managers and employees, all strategic decisions were still being made by its founders and owners. “Because some of the owners were no longer directly involved in the day to day work, it became apparent that some strategic decisions were being made in a vacuum,” Guercia points out. For example, how do you make key decisions around sales strategy if you’re not longer involved in the selling process? This prompted the founders and owners to form a leadership team, comprising eight employees representing different areas of the company. The first step for this new team was to develop a list of core values that all Secondwind employees could support and believe in. Since their development, every strategic decision is made in accordance with these core values. “Both our employees and our company have experienced tremendous growth since we developed this team, comprised of a broad range of strengths and decision-making strategies,” Fletcher says. She notes that over the years, the group has changed. Only three managers remain from the original eight. “We’ve integrated new members into the team very deliberately. The ‘personality’ of the group changes, as it should, but the function and goal of the group remains the same. It’s a process that really works for us,” she adds. Operations Manager Ernie Gauvin agrees. “As a business grows in size, you have to make the necessary adjustments within your organization to ensure you can handle the work requirements,” he says. “It comes down to making sure you have the right people in the right seats,” he adds. Secondwind continually explores different organizational structures, leadership tools, and strategies to help keep pace with the needs of our customers and the demands of our business. “It’s really about evolving as a company and employing proactive change,” Fletcher says. Gauvin agrees. “If you don’t change you die. If you don’t change with forethought, you struggle. If you think ahead and make changes in order to cause improvements, you’ll be much more successful,” he says. Guercia, who has seen Secondwind grow from a small company led by three founders to a $6 million company with 38 employees, says he’s pleased to be a part of the many leadership changes over the years. “We began with a small leadership team whose primary function was to manage schedules and work. Then we transitioned to managing the people who would oversee the schedules and the work. Now our leadership team is focused on developing our employees so that everyone feels they are empowered to not only serve our customers, but also help our company grow and become better,” he says. 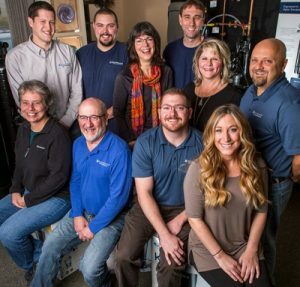 At Secondwind Water Systems, we know New Hampshire water—we’ve been treating it for 30 years. 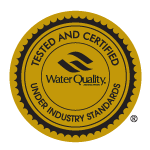 If you have a water quality problem at your home or business, give us a call at (800) 287-5767. We’re happy to come out and provide a free site assessment. Want to learn more about the Secondwind Difference? Visit our website today.